CC#2: How can I get the best colour match for touch ups? 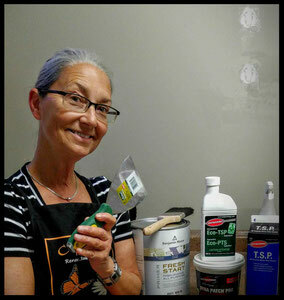 CUSTOMER QUESTION #2: "How can I get the best colour match for TOUCH UPs?" Sometimes touch ups can work well, particularly if they're not in noticeable areas. Other times, the enterprise can be frustrating. Blending touch ups with older paint finishes is difficult to achieve and it’s often better to just paint the whole wall. However, if all or most of elements match, it's possible to get a satisfactory result. Obvious, right? But make sure it's exactly the same colour. 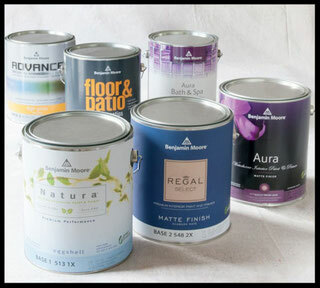 Use the same colour formula and colour code as identified on the original brand of paint. Do not use a different company's version of the colour. Each company attempts to approximate colour formulas from other companies; but approximations won't be exactly the same colour. So ... if the surface was previously painted in Benjamin Moore’s CC-40 Cloud White, touch up with Benjamin Moore’s CC-40 Cloud White. Also, make sure that the full colour is actualized with two coats of paint. Sheen affects the appearance of colour. 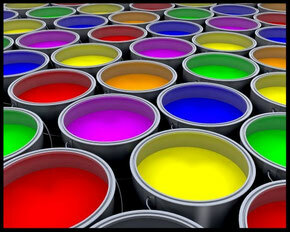 Paint is sold in various levels of 'shiny-ness' - Flat, Eggshell, Satin, Semi-Gloss to name a few. Match the sheen of the touchup to the sheen of the existing paint. Some paints are oil-based. Most are water-based. Some paints are hybrids, waterborne alkyds. Use the same base type of paint to touch up. It's been alluded to in the first three points so it's worth its own category. Sheens differ between brands, even between lines of paint within brands. 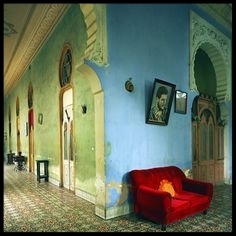 For example, Benjamin Moore has several lines of paint: Aura, Natura, Regal, ben, Ultra Spec. Aura’s Eggshell sheen isn’t exactly the same as the Eggshell sheen in ben, Natura, Regal or Ultra Spec lines. Stay within the same product line of the same brand for touch ups. "Remember, prime before and after repairs." Surface repair is often part of the touch up process. Spot prime to seal the repair and create a uniform under-surface. This prevents the repair from 'flashing' through the touch up job. If the original paint was applied with a roller, the touch up should be rolled on, too. Brushing, rolling and spraying each have their unique finished appearances. After matching all 6 key elements, you're 10-4 ready to go, right? The age of the original paint matters! Water based paint colours gradually fade over time. Most paints (except Benjamin Moore’s top of the line Aura) will begin to dull after three-to-five-years. If the old paint has been exposed to a lot of sunlight or been overly subjected to contaminants like grease or smoke, surfaces will be affected even more. Oils that have not been in direct sunlight will begin to yellow within as little time as 2 months. When time and conditions have significantly altered the colour, a custom colour match must be done. Liberate a toonie-sized sample of the paint from the surface and bring it into the store. The faded colour can be analyzed and a match formulated. The same goes for sheens. 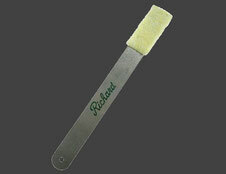 The sheen of water based paints will also fade gradually over time (and not always in a uniform way). You may find that the finish of old paint has slipped between standard sheens. i.e. it’s not glossy enough anymore to be considered a Pearl or Satin finish, but it's still too glossy to be consider an Eggshell. In the case of a dulled finish, go with the lower of the two possible sheens. It goes without saying, but we’ll say it anyway. Don’t forget to wash the walls thoroughly. The touch up paint is dirt free and grime free. It won’t match walls that haven’t been cleaned. If touch ups don’t create satisfactory results, it’s just paint. 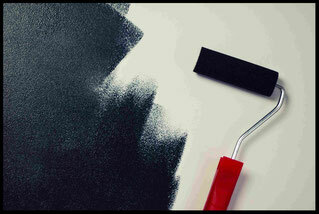 You may not want to paint the whole wall but it’s the ultimate solution to any touch up disasters.